The Parliament has adopted a resolution on the deviation from some of the obligations of the Convention on Human Rights by the cease of the Russian Federation’s aggression. The document will bring the international obligations of Ukraine in line with the objective circumstances of the armed aggression of the Russian Federation against Ukraine, says the explanatory note. As mentioned by Vice-Speaker Oksana Syroid the adoption of the resolution is a forced, but necessary step. “But for the war, we would never pass such documents. And the today’s decision is already the subject of speculation on the part of the Russian mass media,” she stated. 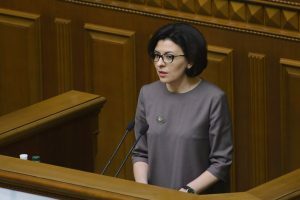 The deputy noted that the adoption of the resolution was neither a rejection of Ukraine’s obligations under international treaties, nor a step towards the implementation of permanent restrictions on rights.